Meteor showers are one of the most beautiful events in astronomy , not only because of the spectacular wake that the meteors leave in their transit through the Earth’s atmosphere but also because of the way they enjoy the show: lying under a sky full of stars, admiring the immensity of the firmament and letting the night pass. It evokes the way in which our ancestors studied the universe, with a lot of patience, with self-denial and with hardly any instrumentation. Beyond the beauty of this show, meteor showers are one of the few phenomena in which the observation “naked eye” can provide valuable information from the scientific point of view. Planetary science experts are following the meteor showers with great interest because they are a great opportunity to get to know the comets and asteroids better. Some of the meteor showers that we witness today have their origin in known comets and others could have their origin in comets already extinct; comets that have been consumed after completing several orbits around the Sun, sublimate particles of dust and ice that disintegrate upon entering our atmosphere, causing meteor showers. In the case of the Perseids, which can be observed between July 17 and August 24, its progenitor is the comet Swiff-Tuttle. In addition to comets, asteroids, in their passage through the vicinity of the Earth, can also lead to meteor showers. In fact, the Geminids that are observed during the month of December, are related to the passage of the asteroid 3200 Phaethon (Whipple, 1983). Likewise, the potentially dangerous asteroid 2001 YB5 may be the originator of the Delta-Cáncridas rain observable in January, as demonstrated by a study conducted by the University of Beijing taking advantage of the passage of this asteroid by the vicinity of our planet. (H. Meng, 2004). One of the fundamental aspects in the study of meteors is their association with the parent star, that is, knowing what comet or asteroid is causing the rain. To do this astronomers use numerical models that determine the position of the radiant (place of the sky from where meteors begin to fall) and then associate it with the orbit of the comet or asteroid that could originate it. Meteor spectrum analysis provides valuable information about your parent. This information is complemented by other information from meteorites found on the earth’s surface. During the meteor shower, observation campaigns are carried out to make a detailed tracking of the number of meteors detected every night, in order to know what has been the distribution of the material that has entered the Earth’s atmosphere. These campaigns are coordinated by the International Meteor Organization (IMO) and amateur astronomers and citizens in general participate. It is then when observing the meteor shower with the naked eye acquires its scientific value. With this in mind, the Institute of Astrophysics of the Canary Islands and the Complutense University of Madrid have developed a project called Star Accountants in which citizens can collaborate with professional astronomers in the study of meteor showers. This citizen science project allows making shooting star counts in a rigorous and simple way by using an application installed on the mobile. The project includes a simple and entertaining guide. It is funded by the Spanish Foundation for Science and Technology (FECYT) of the Ministry of Science, Innovation, and Universities. 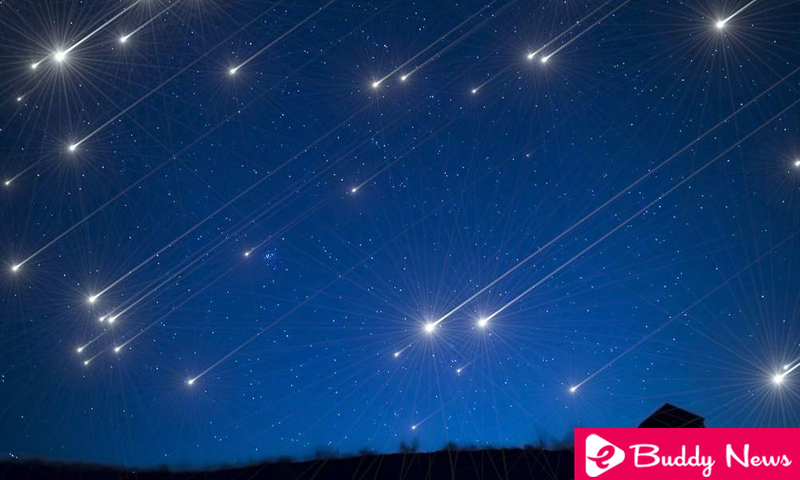 This application will be released during the Perseids of this month of August in various parts of Spain, such as El Anillo de Cáceres, where the meteor shower will also be broadcast on the internet through the sky-live TV platform, which you can enjoy from MuyInteresante. Other places that are added to this meteor count are the Teide Observatory or the Valencian municipality of Alcublas. The meteor showers are an opportunity to improve the knowledge of the minor bodies of the solar system. Research carried out during the last years contemplates the possibility that the water of the Earth could have its origin in the asteroids. Ice has already been detected in asteroids of cometary origin as well as those located in outer regions of the main asteroid belt, the furthest from the Earth. The salts and water found in some meteorites could explain the origin of our planet’s oceans. Javier Licandro is one of the astronomers of the Institute of Astrophysics of the Canary Islands that is participating in these investigations.